yes, yes, they really do dream. for it never to change. What did you expect to be different? blood until their bodies are just bone on skin. & watch the son rise. a dead thing is being washed away. This time, they’ve named it a black boy. This time, every time, same difference. How long does it take a story to become a legend? then ask it who it drowned. for they finished what the car could not. if I must call this her faith, I call God my enemy. I at least demand a song. a song will do for now. iv. who has time for joy? to make it all a lie. feel like to be safe? by will come in the morning? & what of the boy? what was his last dream? what cure marker did we just kill? for it us everywhere now. what? the world? a road? a river saying his name? trees? a pair of ivory hands? but most of them just call it blackness. keeping someone else’s house in order. a shop where she sold fatback & taffy, ran numbers. a place to come to be black & not dead. eventually, all black people die. Danez Smith is the recipient of a 2014 Ruth Lilly & Dorothy Sargent Rosenberg Poetry Fellowship from Poetry Magazine & The Poetry Foundation. He is also the recipient of fellowships from the McKnight Foundation, Cave Canem, VONA, & elsewhere. Danez is the author of [insert] Boy (forthcoming, YesYes Books) & the chapbook hands on ya knees (Penmanship books, 2013). He was featured in The Academy of American Poets’ Emerging Poets Series by Patricia Smith. 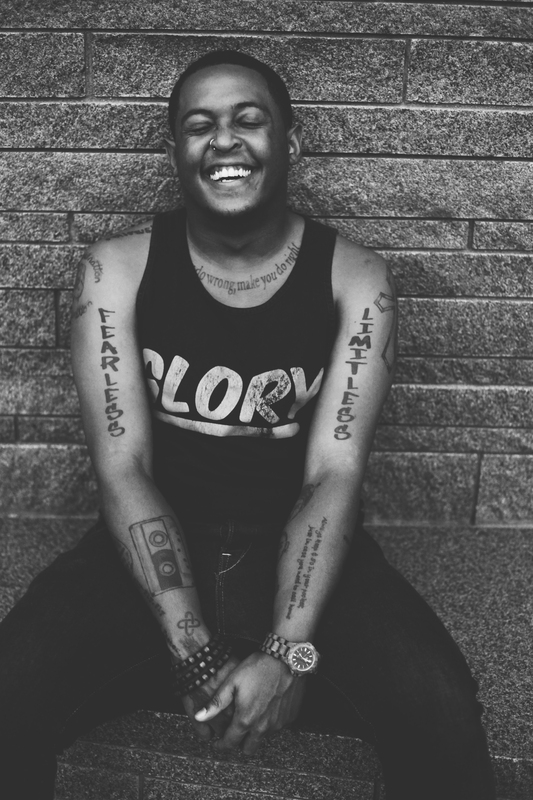 Danez is a founding member of the multi-genre, multicultural Dark Noise Collective. His writing has appeared in Poetry, Ploughshares, Beloit Poetry Journal, Kinfolks & elsewhere. He placed second at the 2014 Individual World Poetry Slam, is the reigning 2-time Rustbelt Individual Champion & was on 2014 Championship Team Sad Boy Supper Club. In 2014, he was the Festival Director for the Brave New Voices International Youth Poetry Slam. He holds a BA from UW-Madison where he was a First Wave Urban Arts Scholar. He was born in St. Paul, MN.